By most objective measures, the Super Bowl is the biggest sporting event in the world. In the U.S. alone, over 110 million people tune in to watch at some point. 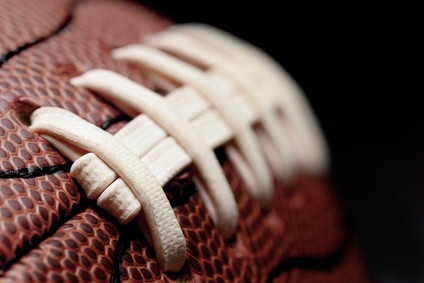 Super Bowl 50 generated roughly $620 million in revenue based on the best estimates. If you want to cash in on the big game, here are a few ideas worth contemplating. If you live in the host city, you can make a lot of quick cash by renting out your domicile for the week. When practically every hotel room in town is booked, you can more or less name your price. If you don’t want to use AirBnB, HomeAway and VRBO can also be lucrative. Whether you live in a Super Bowl host city or not, there’s bound to be tons of festive revelers in need of a ride in your area. Sign up with Uber and wait for the big Sunday to arrive. You can also use Lyft to find football fans that require transportation. The Super Bowl is always an excellent opportunity for fans to explore cities that they’ve never visited. If you’re lucky enough to live in the host city, you can use your unique inside knowledge of local attractions to make extra money. All you need is a decent van and a little marketing to get going. While a typical Super Bowl party is usually an intimate affair, there’s plenty of room for a commercial take on the festivities. You could organize a Super Bowl party for fans of either or both teams that boasts professional catering and high-quality TVs. Rent some commercial or convention space, advertise your soiree and profit. If you have a flair for entertaining and a few secret recipes up your sleeve, you can make a mint by providing food for Super Bowl bashes. You’ll need standard banquet equipment like chafing dishes and disposable silverware. The good news is that you can run a Super Bowl catering outfit out of your own kitchen. As long as you don’t live in Alaska, you can make plenty of dough with a street-side food cart even if you’re not in a host city. Hot dogs, tacos and wings are always popular draws. Position yourself in a part of town that features many popular nightlife establishments and rake in the cash hand over fist. For many entrepreneurs, affiliate marketing is the easiest way to profit from an event without buying physical merchandise. Find a niche that other marketers haven’t thought of yet and dominate it weeks or even months beforehand. High-end electronics, NFL paraphernalia and cookware are always popular purchases in the lead up to the big day. For those with access to plenty of capital, becoming a licensed NFL vendor is a surefire way to make a lot of money over the long haul. Licensed vendors actually manufacture the branded apparel and gear that fans buy every year before and after the Super Bowl. While the requirements are strict, the profits are astronomical. Most die-hard NFL fans like to envision themselves as their favorite players. You can make their dreams come true by setting up a recreational tournament. All you need is a field, some legal forms releasing you from liability and a little organizational savvy. Award a solid prize to the winning team and pocket the entry fees. As much fun as Super Bowl parties can be, nobody likes to clean up the ensuing mess. All you need to start a Super Bowl party cleanup business is a few cleaning products, a good vacuum and plenty of trash bags. Market your temporary side business a month in advance and watch the offers roll in. Most parents just want to enjoy the game without having to worry about kids running around. If you have a way with tots, you can parlay that natural ability into a goldmine by running a one-off child-sitting service for the Super Bowl. Have a child-friendly home prepped for the event that’s stocked with toys and snacks. For those lucky enough to live or own property near the actual Super Bowl itself, selling parking is a no-brainer. Even if you’re not in the host city, you can sell parking if you’re near the downtown area. With so many fans clogging bars and restaurants all over the nation, you can easily pocket some extra cash by undercutting parking garages. Throwing a great Super Bowl party is tough without a decent entertainment setup. As such, late January and early February are prime times for buying AV hardware. Scoop up as many Black Friday deals on large LED TVs and speakers that you can and wait for February to roll around to cash in on your prudent purchases. If you don’t like the idea of transporting passengers on Super Bowl Sunday, delivering take-out is a great alternative. Make some contacts with local restaurants that don’t traditionally deliver and form a one-time partnership for the evening of the Super Bowl. The UberEATS service is an even easier way to make quick cash on Super Bowl food deliveries. While the car wrap advertising scam is well known at this point, there are still ways to make legitimate money with vehicle-based advertising. Find a local business that makes a lot of money on the Super Bowl like a bar and offer to carry a decal on your vehicle promoting their services for a fee. If you have a knack for graphic design or copy-writing, you can parlay those skills into a healthy seasonal income by developing Super Bowl ads for local companies. Set up a website, advertise yourself months in advance via social media and watch the offers come rolling in. Thanks to the power of eBay, anyone can make great money all year long by hawking Super Bowl gear online. Scoop up as much commemorative merchandise as you can after the game and wait for fans of the winning team to buy it at inflated prices. If you live in the host city, pretty much every option listed above is on the table. If not, there are still plenty of ways to capitalize on the event. Determine how much money and time you’re willing to invest in a venture and you’ll find an appropriate Super Bowl side hustle that’s a winner.